Boost Brightness and add instant shine with PlatinumX. This lightweight cream formula delivers instant shine, helps eliminate frizz and improves comb-ability, with Chamomile and sage to smooth hair. What is it? Rusk? Deepshine? 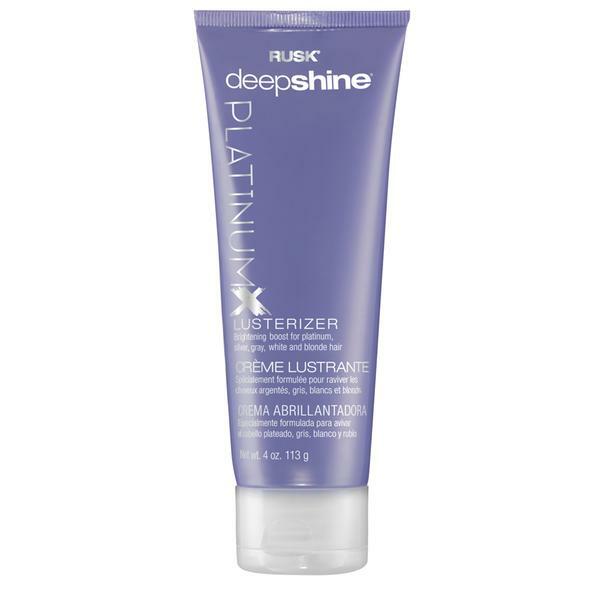 PlatinumX Lusterizer is a lightweight cream that boosts shine, eliminates frizz and improves comb-ability. What does it do?Boosts brightness and adds instant shine. Formulated with Violet 2 to help neutralize unwanted yellow, boost brightness, eliminate brassiness.